Foys Lake is the closest lake to Kalispell, Montana and only minutes away to the southwest, near the entrance to Lone Pine State Park. The lake is about 235 acres in surface area and is known for its pretty turquoise color due to light reflecting off a sandy white bottom. Recreational boating on Foys Lake includes a mix of water skiing, fishing (rainbow trout and kokanee) and quiet canoeing. 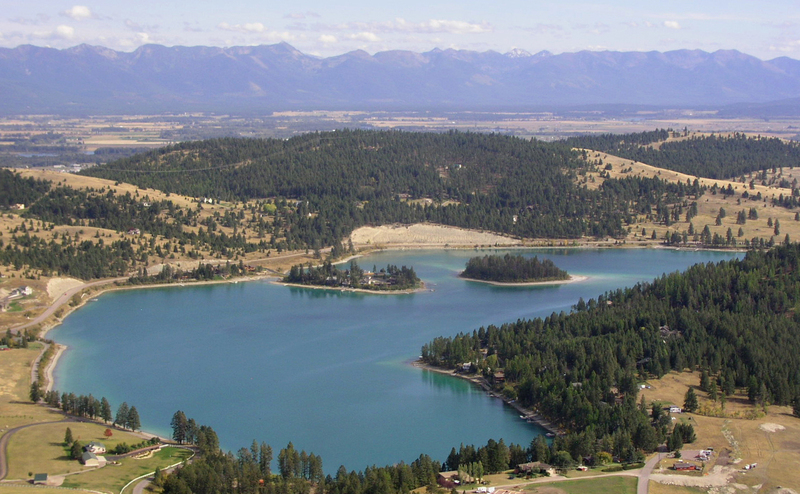 Flathead County has parking, a boat ramp, docks and a swimming area on the east end at the Foy’s Lake Park. The real estate along the shoreline property is a mix of upscale waterfront homes and seasonal cabins. Like many of the smaller area lakes, there is generally only a handful of homes or property for sale at any one time and many times none at all.